The timeless lessons in life are learnt from our own traditions. We learn them by observing, listening, and imitating those who impart them. We learn about our people, about the land, about the social customs and traditions, and about our own believe systems. Now-a-days scholars describe these as indigenous knowledge systems. Every time I think of the indigenous knowledge systems I am reminded about the notion of ‘Melanesians Way’, a term closely associated with its eminent proponent Bernard Narokobi. He explored the concept of ‘Melanesian Way’ in a series of newspaper articles published later as a book entitled: The Melanesian Way (1980). The spheres of knowledge in Melanesia provide some of our finer ideas and values. One of the valuable models of knowledge transfer is captured in Narokobi’s short novel Two Seasons (2002), published by the Divine Word University Press. The book was written during his days as a law student at the Sydney University in the early 1970s and published 30 years later. The book gives the account of, Kandy, a boy’s coming-of-age story. Learning the traditional knowledge systems through stories, songs, customs, and in socially productive activities of hunting, fishing, tending to gardens, and following the wisdom of elders in our communities make the kernel of the story. We must write such valuable lessons down or even document on basic audio or video technologies. The Melanesian Islands share similar cultural knowledge systems. I recall the experiences of visiting Ambryn and Ureparapara Islands in Vanuatu. 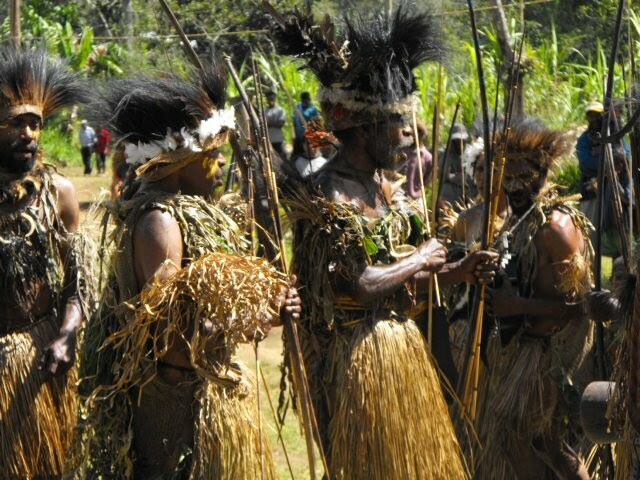 The dances, costumes, and dance patterns are similar to those performed in West Britain, Manus, Morobe, and Madang provinces. Across Vanuatu and in the Solomons boarder are the Santa Anna Islanders. The highlight on Santa Anna was the grand display of the Bonito or tuna fishing dance. Almost everyone in the village is involved because of its significance to this island community. In some of the Melanesian countries the government and donor agencies support research, performance, media, and educational programs of cultural education and research. New Caledonia boasts about the Djibaou cultural center. The Vanuatu cultural center remains the pride of Vanuatu. Fiji has the Oceania Centre for Arts and Culture at the University of the South Pacific. The excitement and interests these centers generated in the last decade say a lot about the importance of organizing indigenous cultures and institutionalizing cultural knowledge systems. Institutionalizing cultures seems the only way to get government funding for cultural activities. The issue for me is not about promoting Melanesian Way or any other way, but about the indigenous knowledge and ways of knowing passed down from our ancestors. What are we doing to learn and promote some of our indigenous cultural knowledge anchored in our traditional societies? One of the most extraordinary examples of bridging the indigenous knowledge system of Oceania and Western science is on the Big Island of Hawai’i. My interests in indigenous knowledge systems have led me to this new wonder in Oceania. The ‘Imiloa Astronomy Center of Hawaii was opened in February 2006. The world-class facility intertwines the indigenous Hawaiian cultural and navigational understanding of the stars with real-time information direct from Maunakea’s world famous astronomy observations. Various activities are organized at the center to celebrate the superior Polynesian knowledge of astronomy and navigation. ‘Imiloa Astronomy Center of Hawai’i is a part of the University of Hawai’i at Hilo and encompasses 40,000 square feet. It has a main exhibit gallery, planetarium, restaurant, classroom, Moanahoku (Ocean of Stars) special events hall and a museum store. The center is complete with an award winning landscape featuring indigenous, endemic and ‘canoe’ plants (plants brought by early Polynesian navigators). The landscaping mirrors the changing plant life found as one ascends from the oceanfront to the volcano. Our indigenous cultural knowledge systems are part of us. We can talk about them the whole day. After that we can repeat the same conversation every day. We can do the research and documentation of our indigenous cultural knowledge system in our own little ways, but is that enough? Our conversations and researches must produce results: publish them in books, produce audio and video documentaries, and create programs of cultural re-education of our people. The reality is that our cultures and societies are changing very fast. We need to reinvent our institutions for cultural research such as the Institute of Papua New Guinea Studies (IPNGS). The complete neglect of the Institute of Papua New Guinea Studies has seen it go from being a cultural hub in Boroko to a derelict of obscurity. Immediate attention is to have a redesigned structure fitted with indigenous architectural motifs, complete overhaul of its current research programs, and make it become the national center of cultural research. This will create spaces for art and cultural exhibits, book launching, a bookshop, theatre performance, writer’s recitals, music performances, film studio, library, restaurant, a classroom for cultural re-education programs for our children and adults, and research studios. Increased funding, provide new equipment, and insert innovative education and research programs to involve everyone in the community to have the 100% support of the government. If the current site is a legal wrangle then move it out to a wider and bigger space. 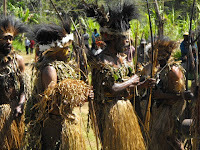 Institute of Papua New Guinea Studies must be separated from the National Cultural Commission so that it can have its own funding and powers to pursue a broader vision, wider research agenda, and realign itself with the changing national aspirations of Papua New Guineans to see cultures and knowledge systems documented in print, audio, video, and electronic technologies.